Rumeli Dhar to Lanning and it’s four, Australian Women easily won the last match against Indian Girls and they are all set to play their 2nd T20 against England Women. In Today’s Dream11 Fantasy Cricket Prediction|AUS-W v ENG-W we will discuss all the details related to the second match. 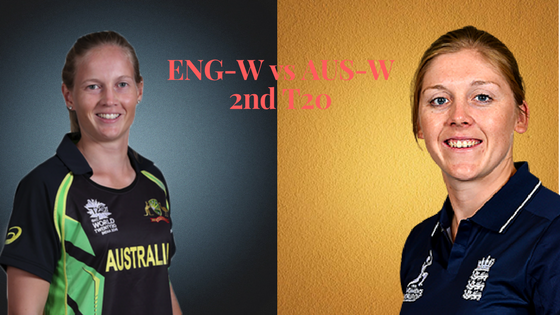 You may like to read England Women vs Australia Women 5th T20. So in this post, we will focus on all the details related to the game which will make your winning chances almost 100% sure. The details will include playing 11, player recent and past performance, pitch report, news related to this match, who will win the match, toss prediction, and most important what our astrology team has to say. And of course, we will also provide you the weather report. Knowing about the weather is important as it will decide what strategy to apply to select your best dream11 team. Date: 23rd March 2018 (Friday). Match: Women’s T20 Tri-Series in India, 2018, 2nd Match, AUS-W v ENG-W.
Average first inning score is 159. Average second inning score is 161. Highest total on this ground was 167/3 in 18.1 overs by IND v AUS. Highest total chased in this ground was 167/3 in 18.1 overs by IND v AUS. Brabourne Stadium pitch is supposed to be batting friendly and will support the batsmen. The ball will come nicely on the bat. Seamers can find the initial movement from the pitch, in short, there is something for the bowlers as well as batsmen. So let’s see which department is going to utilize the benefits from the ground. AU-W won 3 matches out of 5 matches played against EN-W in last T20 International. The England girls defeated Australian girls in the last two games previous to this series. The weather is expected to be clean on the match day. There is no sign of rain so you can enjoy the full match. The minimum temperature is expected to be 26-degree Celsius and the maximum to be 28-degree Celsius. Meg Lanning (c), Amanda Wellington, Elyse Villani, Nicola Carey, Beth Mooney, Rachael Haynes, Ellyse Perry, Sophie Molineux, Alyssa Healy (wk), Delissa Kimmince, Jess Jonassen, Naomi Stalenberg, Ashleigh Gardner, Megan Schutt. Amy Ellen Jones (wk), Danielle Wyatt, Bryony Smith, Kate Cross, Alice Davidson Richards, Natalie Sciver, Heather Knight (c), Sophie Ecclestone, Danielle Hazell, Jenny Gunn, Katie George, Anya Shrubsole, Tash Farrant, Fran Wilson, Tammy Beaumont. Meg Lanning started the tournament with winning note and they will love to continue this against their Ashes rivals. It is expected that there will be no change in the playing 11. It will be interesting to see how Lanning makes changes as they have lost last to games against England Women team. Meg Lanning (c), Alyssa Healy (wk), Rachael Haynes, Megan Schutt, Ashleigh Gardner, Ellyse Perry, Sophie Molineux, Elyse Villani, Jess Jonassen, Beth Mooney, Delissa Kimmince. Knight seems to be highly motivated as they have defeated Indian Women in the last two practice matches and they have won the last two games against their Ashes rival this year. Anya Shrubsole will not play the 2nd T20 as she is still recovering from her injury. Danielle Wyatt, Heather Knight (c), Natalie Sciver, Amy Ellen Jones (wk), Tammy Beaumont, Jenny Gunn, Fran Wilson, Tash Farrant, Sophie Ecclestone, Danielle Hazell, Katie George. Note: Make a team from the above list. Try to make combination as you cannot select all the players. You can take bowlers from the playing 11.